Monaghan booked their place in the semi-finals of the competition thanks to a hard-fought draw in Dundalk with Louth who now face Leitrim in a relegation play-off to decide whether they will be playing Meagher or Rackard Cup hurling next season. The first half was a tight affair with both sides trading blows mainly through frees from Louth's Paddy Lynch and Monaghan's Fergal Rafter. The loss of the Arthur brothers from Clare, who had their permit to play for Louth rejected following a complaint to the GAA, was huge for the home side who struggled to break down the visitors. However, Louth went in 0-10 to 0-9 ahead at the break thanks to a late Mark Molloy score. Louth enjoyed a purple patch late in the second half with Ronan Byrne's monster free putting them 0-18 to 0-15 in front with three minutes remaining. However, Monaghan fought back and despite losing midfielder Mark Treanor to a red card late on they drew level at the death thanks to a point from substitute Cathal Power. Louth - S Hackett 6; M Wallace 7, M Lyons 7; C Seery 6; A McCrave 6, R Byrne 8, S Kettle 7; D Ryan (N/R), M Molloy 7; P Lynch 9, S Callan 7, S Connelly 7; G Smyth 7, D Kettle 7, J Crosbie 6. Subs: L Molloy 7 for D Ryan (29), M Ryan 6 for Crosbie (51). Monaghan - P Bermingham 6; J Guinan 6, K Cawley 6, B Flanagan 6; P Finnegan 7, P Treanor 6, M Murphy 6; M Treanor 7, A Kenny 6; C Boyle 7, F Rafter 8, C McNally 6; C Flynn 7, E Collins 7, T Campbell 6. Subs: B McGuigan 6 for McNally (h-t), C Power for Flynn (66). A goal from Kelvin Magee in the 55th minute proved decisive as Warwickshire secured a home semi-final with a hard-fought win over 14-man Longford in Glennon Brothers Pearse Park on Saturday. Longford had been in front when Cian McLoughlin was sent off in the 41st minute for a second yellow. Warwickshire made use of the advantage and were ahead by four in the 55th minute, but Longford had cut the gap to one seven minutes from time, before the English side hit over points in the closing minutes to secure the win. They had started the game like they ended it, with three points in a row from their talisman Niall McKenna. Longford had their own star man in Joe O'Brien, who brought them back into the game and the sides were level at the break, 0-6 to 0-6. After McLoughlin walked, Warwickshire got the crucial score in the 55th minute. 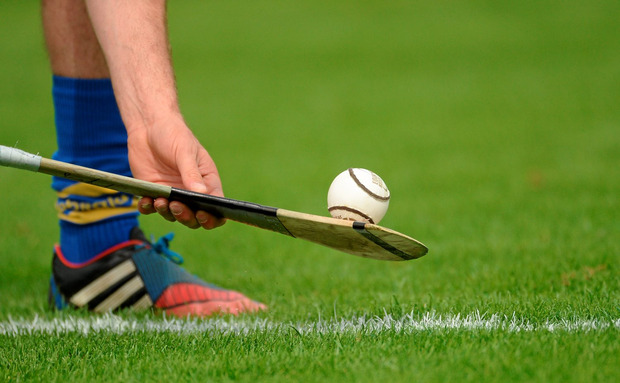 Despite the defeat, Longford retain their Nicky Rackard status for 2019. Warwickshire: P Crean 7; W Allen 6, D Bruen 7, M O'Regan 6; P Scally 6, J Collins 7, D Kennedy 7; P Hoban 6, S Caulfield 7; N Kennedy 6, D Nugent 6, N McKenna 8; K Magee 7, C Robbins 7, G Lennon 6. Sub: B Fallon 6 for N Kennedy (h-t). Longford - E Daly 7; A Sheridan 6, G Moore 6, C McLoughlin 4; Hanley 6, D Duggan 7, J Casey 7; S Hannon 5, D Connell 5; P Barden 6, P Walsh 5, K Murray 5; C Kavanagh 5, J O'Brien 7, J Leonard 5 Sub: C Gallagher for Daly inj (70). A much sharper Tyrone outfit, led by Damien Casey, blasted Leitrim's challenge out of the water on Saturday in Carrick-on-Shannon. Leitrim grabbed the lead on four minutes after Cathal O'Donovan hit the game's opening point. Tyrone replied with five points in the next four minutes to take complete command, with Casey accounting for three of their scores, while Aidan Kelly and Chris Kearns chipped in with a point each. Leitrim trailed by 0-6 to 0-13 at the break and in the opening four minutes of the second-half Tyrone increased their lead to 13 points after Damien Casey added a goal and a point, while Pierse O'Kelly and Bryan McGurk shot a point each. Thanks to goals by Colm Moreton and James Glancy, Leitrim managed to cut the deficit to eight points by the 70th minute. But Aidan Kelly then hammered home a goal and Pierse O'Kelly shot a point to ensure a semi-final clash with Warwickshire. Tyrone - C McElhatton (8); C McNally (7), R Devlin (7), P McHugh (6); S Muldoon (7), S Donnelly (8), C Kearns (8); D Begley (7), C Cross (7); D Casey (9), P O'Kelly (8), J Kelly (7); A Kelly (7), R McKernan (7), B McGurk (7) . Subs: T Morgan (4) for J Kelly (42), S Óg Grogan (4) for Casey (42), J Ferguson (4) for McKernan (51), L Armstrong (4) for Cross (51) . Leitrim - D Molloy (7); K McGrath (6), C McCrann (6), P Earley (4); E Moreton (5), N McLoughlin (4), D. Ryan (5); J Glancy (6), K McDermott (4); C O'Donovan (7), C Moreton (5), D McGovern (6); P Poniard, C Cunniffe (7), Z Moradi (6). Subs: C Beirne (4) for Earley (26), J McNabola (4) for McLoughlin (h-t), A Duffy (4) for Poniard (58). Ref - A Ferguson (Fermanagh).